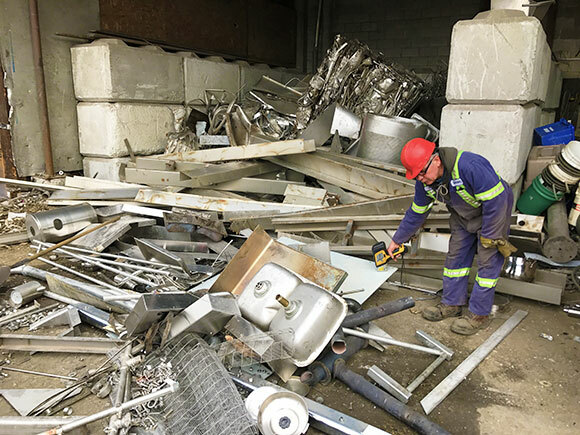 Our Services - Metal Recycling in Vancouver - Davis Trading & Supply Ltd.
We offer a range of recycling and recycling related services. We can arrange trucking services for many locations across BC and Alberta – with some places in Saskatchewan, as well. Call us today for more information. Ask for Ryan for Vancouver and area; if looking for out of Vancouver/Area, ask for Kym or Harold when you call. 10, 20, 30 & 40 cubic-yard bins can be placed at any work site in BC. Bins are ideal for construction/demolition/renovation projects. These bins are designed for steel-based product as they are not secure – they are open top bins. We provide a full range of brokerage services capable of shipping material from any location. If you are interested in our Brokering Services, please contact Harold today. Capable of weighing up to 200,000 lbs. The truck scale is 40ft long, located minutes from Centerm & Vanterm ports. We also have small scales that weigh in 1 & 2 pound increments for small scale needs. For pricing information, please contact Kym. Our InnovX Technologies hand held analyzer can identify all types of metals & alloys.